For a full list of the changes in this release check out the changelog or watch the video below. In this post I want to focus on the new strategy in this release: the custom sidebar. This strategy is a pretty big deal for Marvin. As you probably know, we are all about giving you lots of options for your workflow. But until now the focus was definitely on day planning type workflows. If you wanted to work directly from lists without planning your day first, you had to go to the Master List to do that. But the custom sidebar brings your lists to your day view where you have easy access to them. 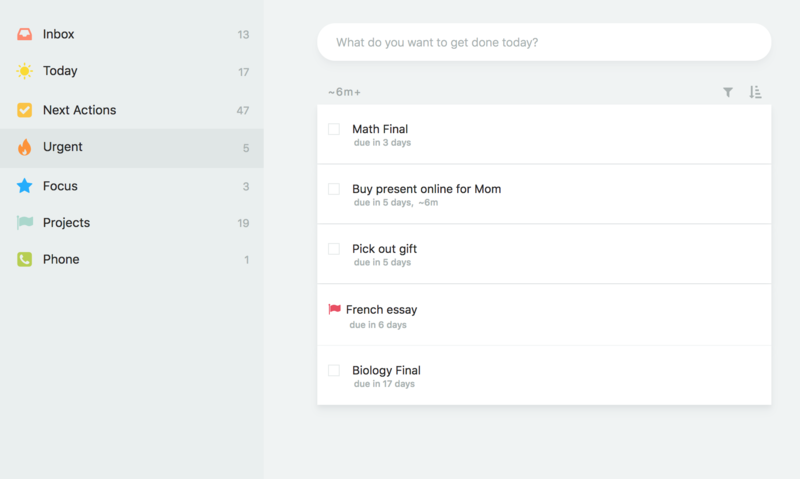 This makes it much easier to work from lists or use a hybrid workflow like GTD where you only schedule a few tasks but mostly work from lists. It was important for us to bring this strategy out as many users who come to Marvin have already been using to-do apps for quite some time. If you like working with the sidebar, you can open it and it will stay open on that machine. The custom sidebar feature is far from finished. We have lots of plans to add different elements to it besides the simple list button. Stay tuned and let us know what you need from the sidebar!